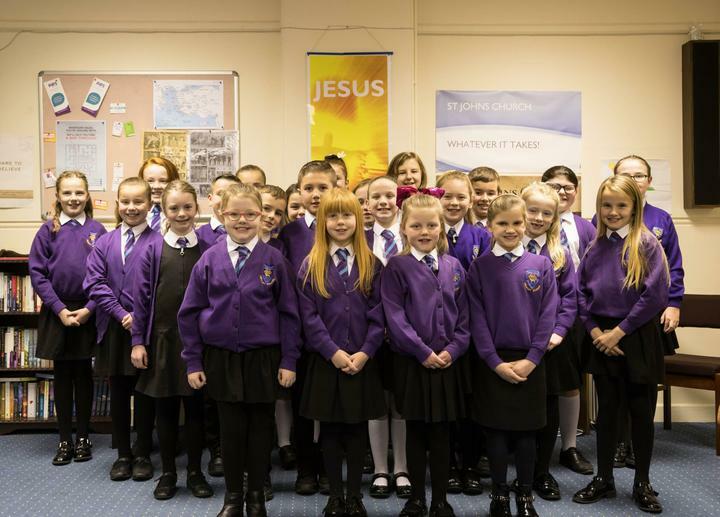 Our choir attended the annual Christingle Service in St. John's on Sunday 2nd December. Rev. White talked to the children about how different things like anger and jealousy can put out our light and stop the light of Jesus shinning through us. All the children got a Christingle and we are very greatful to St. John's for the lovely chocolate treat after the service. The Choir as always sang beautifully.